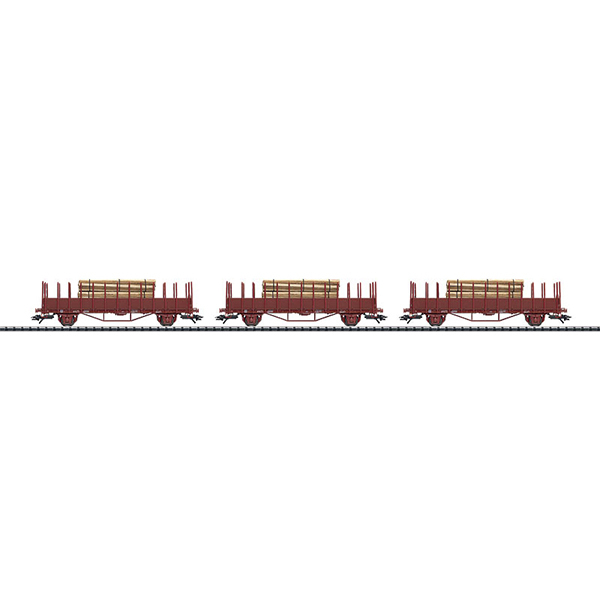 Prototype: Swedish State Railways (SJ) type Oms flat car with side walls and shaped stakes. Universal, standard car for many years. Model: The car body has side walls built onto it. The stakes can be installed on the car. The car floor has separately applied truss rods and steps. Each car has a different load of real wood. The cars have different car numbers; each car comes individually packaged. Total length over the buffers 425 mm / 16-3/4. The type Oms car without a load and with different car numbers is available from Marklin: Item no. 47730 (sold out at the factory).